I could eat a bag of potato chips; sometimes a bag of chocolate. I don’t do it- but I could. (Okay maybe sometime I actually do it). 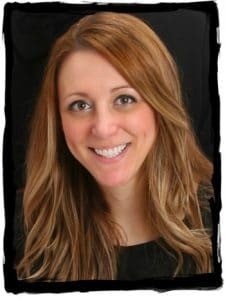 As a busy mom, I grab whatever is easy, available, and fast. If it requires much prep- well, I’ll just get side tracked. As Moms, we tend to put our needs last because someone else always seems to need something more. We are the only people who actually do forget to eat. I’m going to help you remember to get your protein, antioxidants, and even a few live active cultures in your mouth on the go. Prep this healthy snack (it is a quick prep, I promise) before you go out for a day of shopping, errands, or fun with the kids. 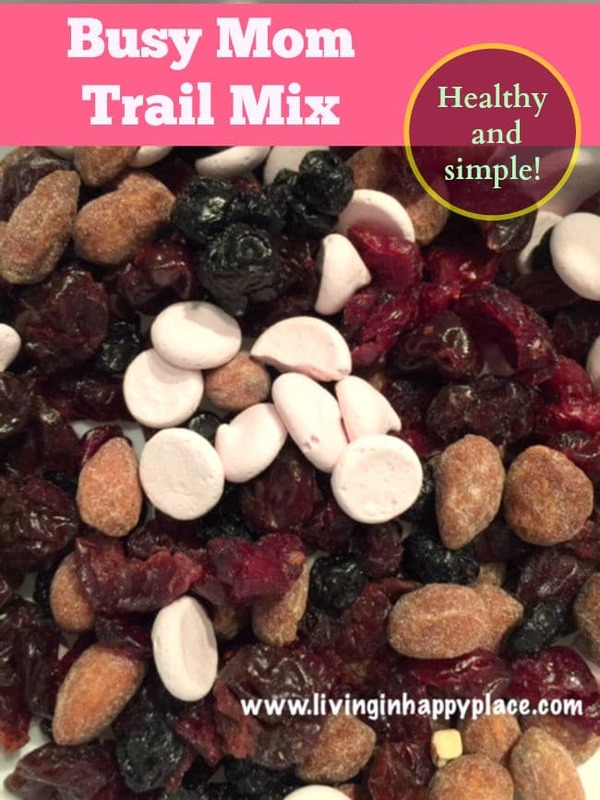 Throw a bag of this trail mix recipe in your purse or diaper bag. This mix takes care of Mom when Mom is too busy to take care of herself! Prep: Mix everything together and eat. That’s it! 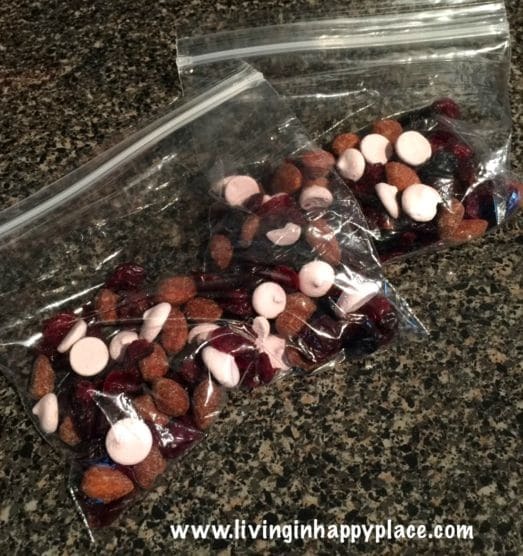 Portion into baggies or small containers and put one in the car and in your purse so you have it accessible. Vary the measurements to match your tastes! This mix should made the day you plan to eat it because it doesn’t store very well. The yogurt bites get squishy and everything sticks together after a day or so. I try to have everything on hand so I can throw a bit of each ingredient in a baggie that morning and get out the door. 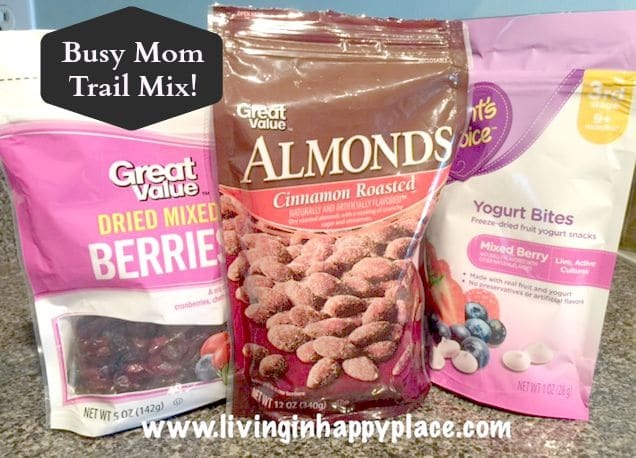 Next time you are running around like a crazy person (a.k.a., a normal Mom) and your stomach starts to remind you that you forgot to feed yourself in the mad rush- you can grab your trail mix snack to tide you over. Hopefully at the next meal you will remember to feed Mom too! What do you snack on when you are running errands? Do you have a great recipe or trick that keeps you going through a busy day? Please leave a comment and share! Going our for the day and need to keep the kids busy? Keep an Out-the-Door Box ready with busy fun!